Firstly, i would like to thank Peter and Brad for another outstanding adventure which more than came up to what i was expecting. 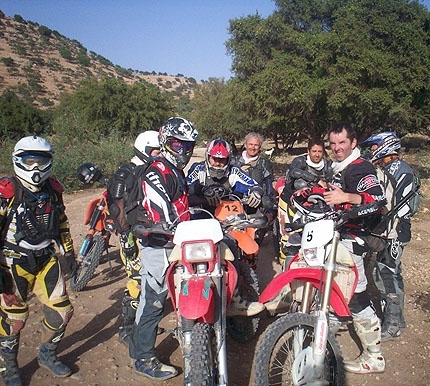 Such a varied range of scenery and riding conditions made this a very memorable trip. David and I have bored all our friends with our stories of Morrocco and the group of guys we were with. 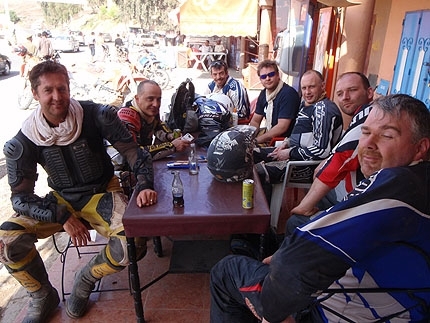 After having used a few other bike tour companies yours is by far in a different league and of a far higher standard due to the quality of maintenance on all the bikes, excellent accomodation and fantastic food, all of which you guys deserve a medal for setting up.